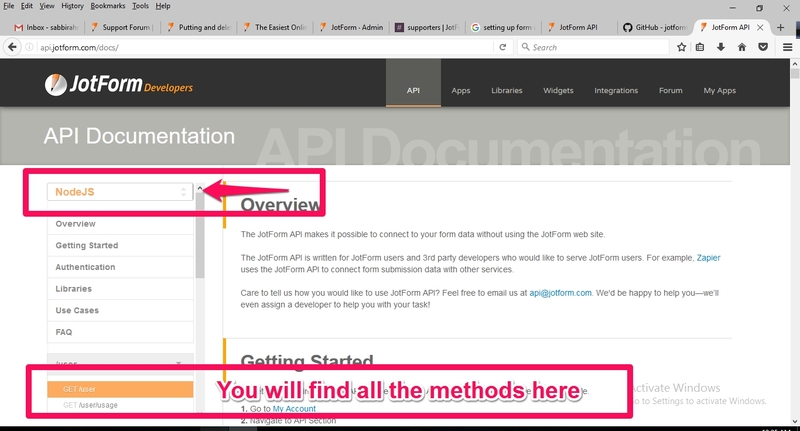 I don't see any sample instructions on the API page on how to put and delete forms on nodeJS. Is it even possible to put and delete forms on nodeJS? 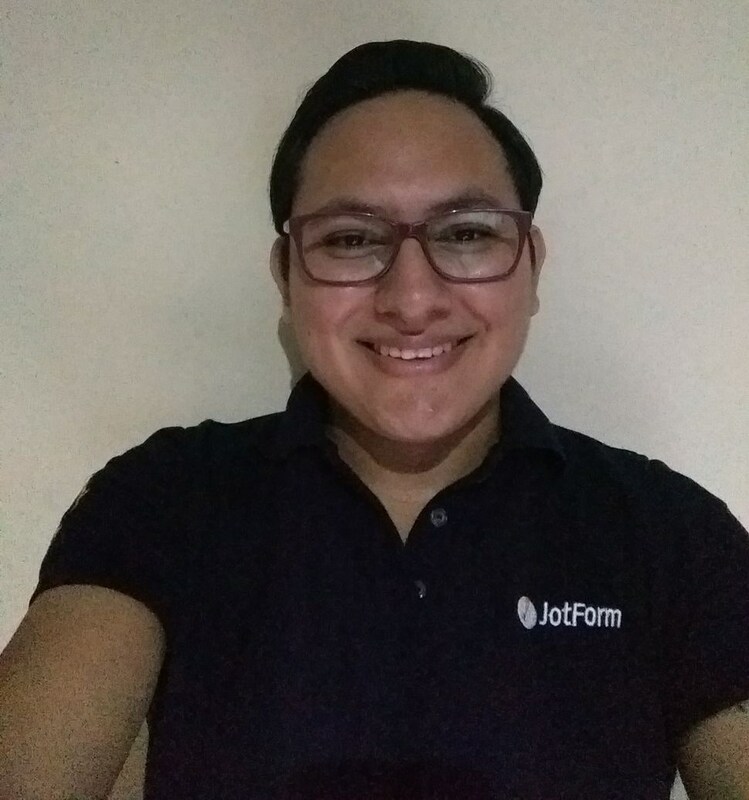 You can go to our API page to get all the information regarding working with Jotform in NodeJS. Then from the left side drop down box, select NodeJS and you will find all the methods underneath to see how to use them in Jotform. Let us know if you have any further query regarding this. 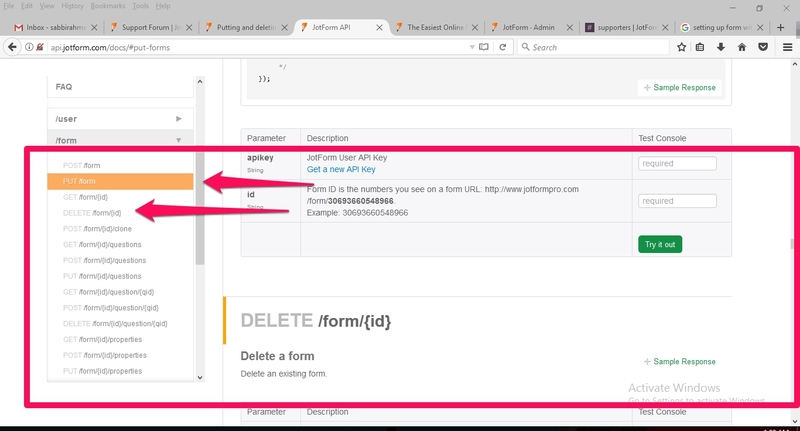 The PUT, DELETE methods are already there for forms. Methods are there as you illustrated but there is no coding or using the API sample like the get method in node or put and delete in Python and java. Is it possible that can be added?